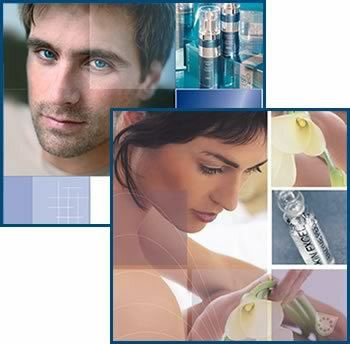 JANSSEN Cosmetics, a German Skin Care Line Leading the Industry in Effective Products and Lasting Results. The skin care and body care products of JANSSEN Cosmetics Treatments represent a new global approach in modern skin care technology. JANSSEN Cosmetics Treatments integrates a new generation of herbal and marine extracts along with bio-technological ingredients to provide innovative skin care products to a diverse community of estheticians and consumers. The cosmetic approach combines pharmaceutical and therapeutic elements in an environmentally safe way to care for the skin without harming the natural balance and protection provided by the body. By offering result-oriented treatment, profitable business programs and outstanding customer support systems, JANSSEN Cosmetics confirms our commitment to the future success of the esthetics industry. JANSSEN Cosmetics is a ISO 9001:2000 certified company.